You are at:Home»Lifestyle»Arts and Entertainment»Check Out This Dank Hemp House! Check Out This Dank Hemp House! You probably consider your casa to be pretty dank, right? Well, no matter how chill you think your pad is, it’s not nearly as cool as this hemp house in Israel. 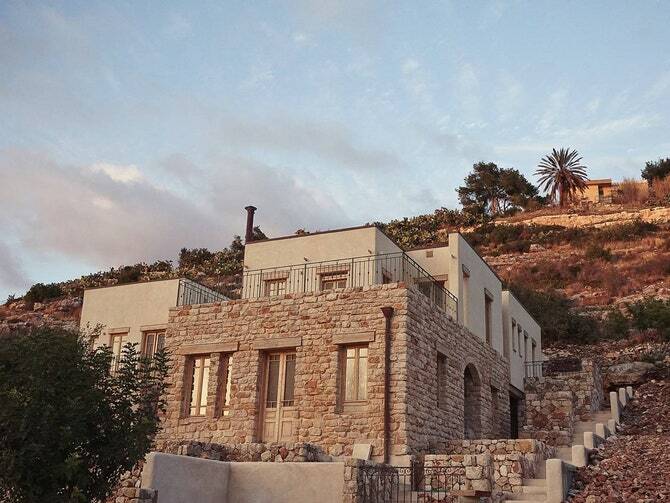 The house, which is made from hemp based concrete, is located in the city of Ein Hod in northern Israel. The hemp house was built by a Tel Aviv based architectural firm called the Tav Group, as part of a project on building sustainable housing and eco-friendly building materials. Hemp Can be Used for So Many Things, Why Not a Hemp House? Hemp can be used for a number of things. It makes a very strong fiber, which is good for making things like clothes and rope. It can be a cheaper and more eco-friendly substitute for plastic. Hemp seeds have a lot of nutritional value. Fiberboard made from hemp is actually cheaper than wood. The plant has a lot of possibilities, including being used to build houses. Regular concrete, the kind that is used everyday is not environmentally friendly at all, particularly the way it is made. This is why it is important that we begin utilizing alternatives to concrete like hemp. So far the Tav Group has found that the hemp house has a lot of benefits. The hempcrete is well insulated, which is a definite plus hot climates such as Israel. Despite what the Trump administration says, climate change is real and we are running out of time. Taking advantage of the versatility of hemp could be a big step in mitigating some of the effects of climate change. What are your thoughts? Share in the comments!